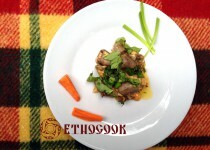 Poultry in Ukraine was wide spread and almost in every household in village were hens. 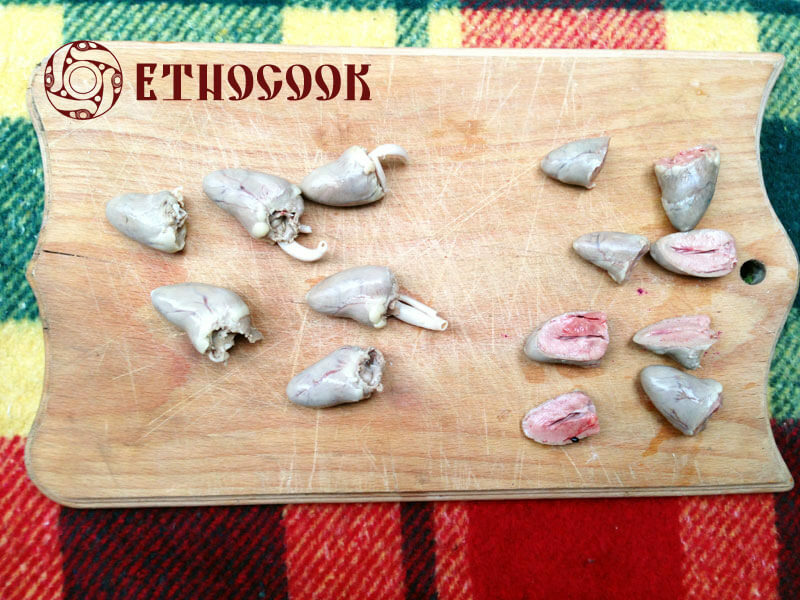 Although earlier Ukrainians didn’t eat poultry meat, including chicken hearts, every day but usually on hollidays, especially Winter and Easter Hollidays. 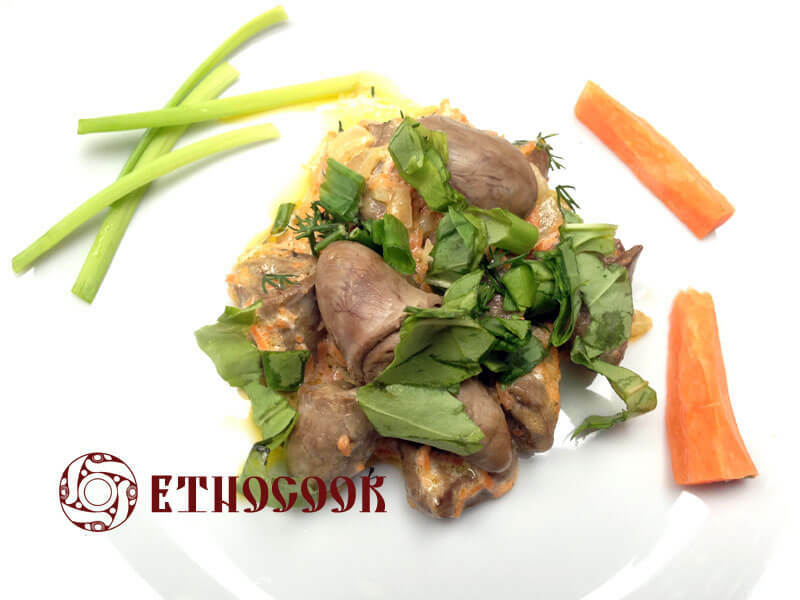 Traditional Recipe for Ukrainian dish Chicken hearts and gravy of sour cream with vegetables and greenery from Etnocook is very simple, and popular. 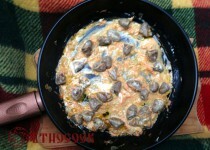 Chicken hearts are often prepared with sour cream, are very tender, delicious. 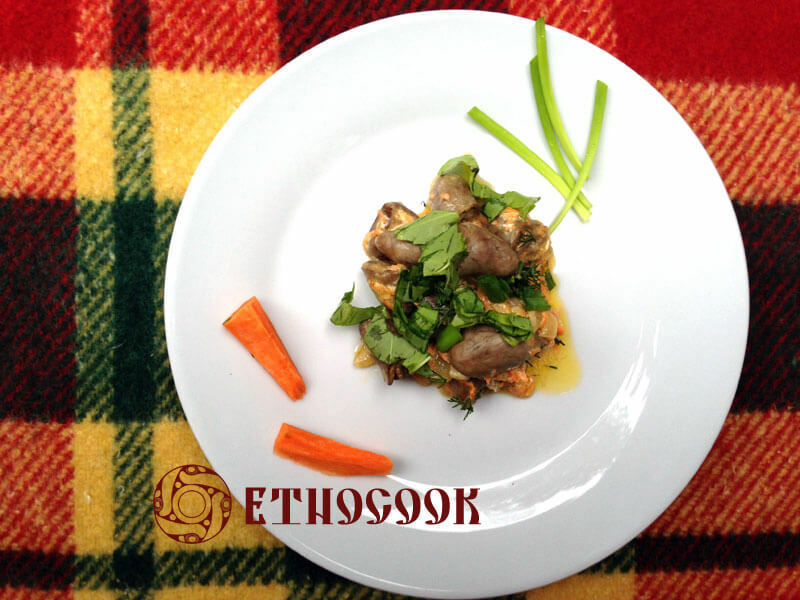 This Ukrainian ethnic recipe of stewed Chicken hearts allow the dish to have a wonderful taste a delicate flavor and aroma. 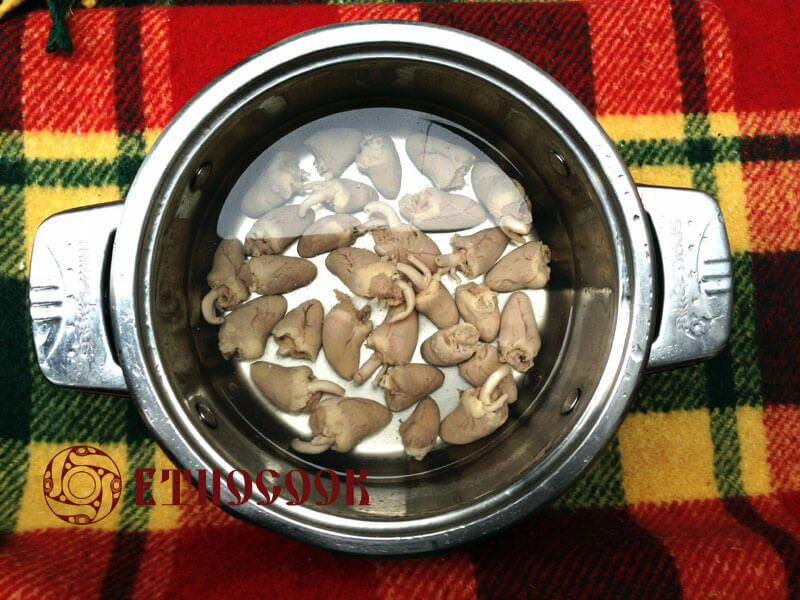 Chicken hearts rinse in cold water. Cut off excess fat and blood vessels from chicken hearts. 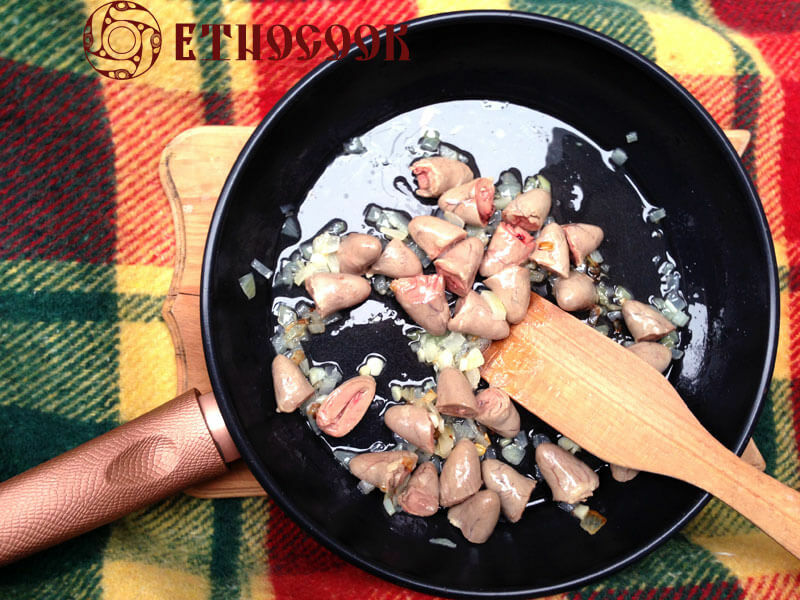 Put chicken hearts into a pot, fill with cold water, bring to a boil, put the small fire, add the optional salt, black pepper and bay leaf and cook for 10 minutes. 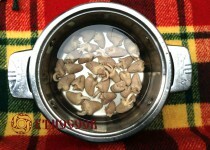 Broth filter into a separate pot. Chicken hearts rinse in cold water and cut along or across on two or three parts. 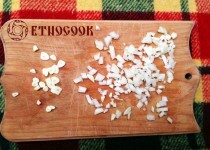 Peel off the dry skin of onions and garlic, cut them into small pieces. 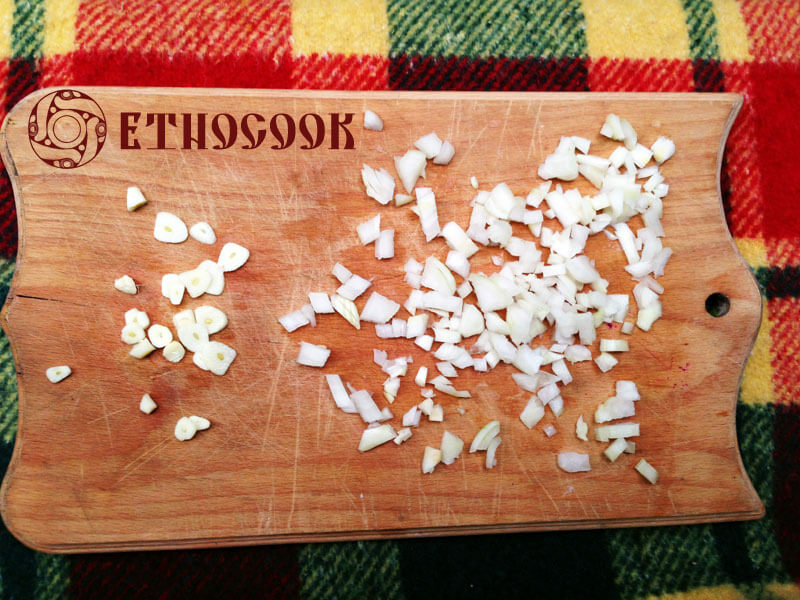 Stew onion and garlic in the pan in hot oil until lightly browned. 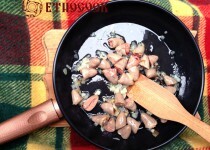 Add chicken hearts in pan with onions, simmer over low heat in a tightly closed lid ~ 15 min., stirring from time to time. 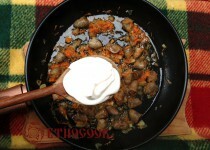 Add the grated carrots on a fine grater, fold, simmer another 5 minutes. 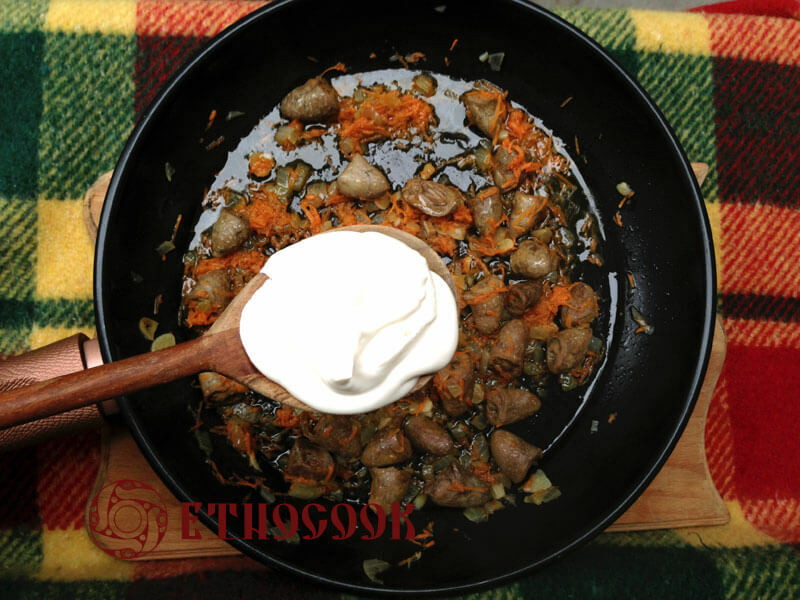 Add the sour cream, carefully fold, salt to taste, simmer on low heat under the lid closed for another 5 minutes, don’t forget stirring. 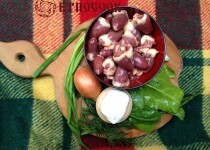 Serve the traditional Ukrainian dish Chicken hearts stewed in sour cream with greenery. 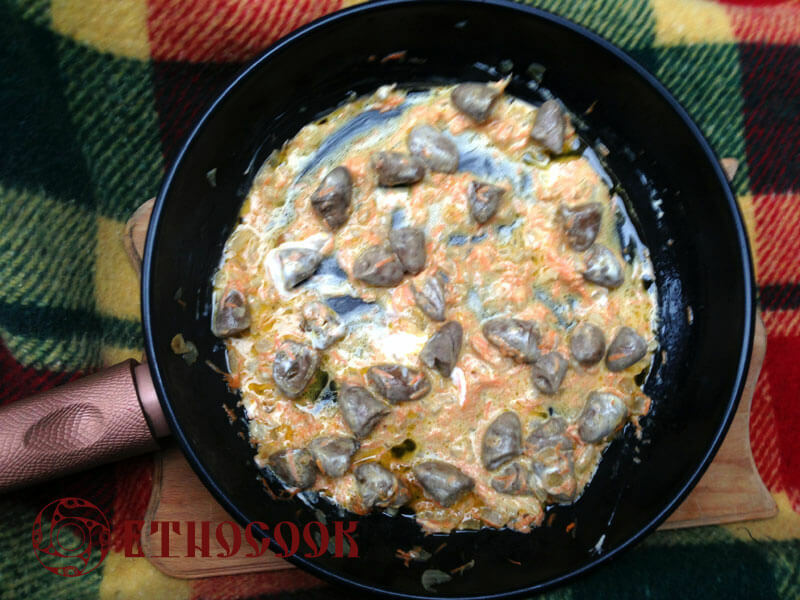 Chicken hearts with sour cream gravy are perfect with dumplings and vegetable dishes.